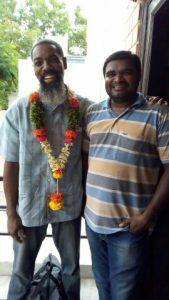 Raja Konatham, an FCAP leader in Hyderabad, had the joy of meeting with a Christian brother who works in technical support for Indigo Airlines ramp services at Vijayawada Airport, 300 kms from Hyderabad. 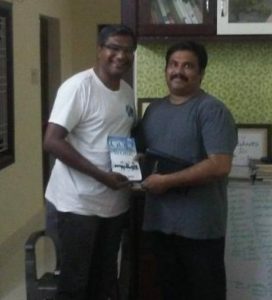 Response was very positive as Raja explained to Mr. Dhanraj about FCAP and shared at a small Bible study group. We thank the Lord for how He orchestrates such connections! 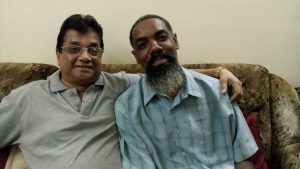 Monix spent time with Mark Fernandes and family en route to Hyderabad. 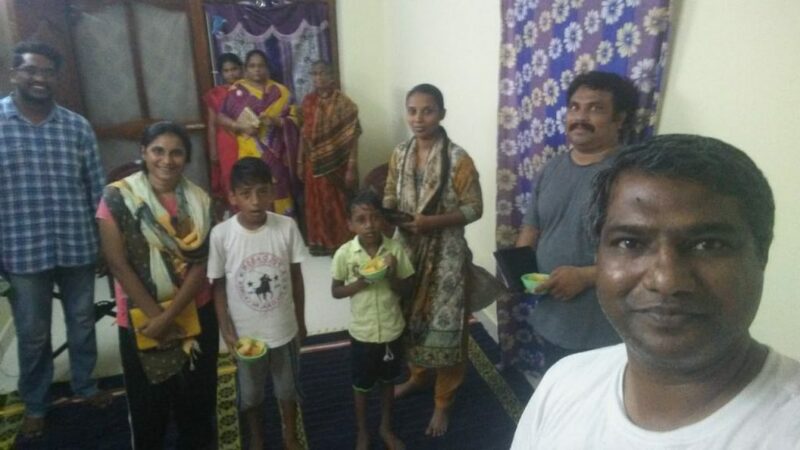 Brother Shashi Hoo hosted Monix in his home while Monix was in Hyderabad. 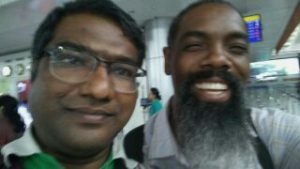 Brother Raja (FCAP Coordinator in Hyderabad) and Monix say their farewell during final moments at the Hyderabad Airport. FCAP member in Hyderabad Capt. 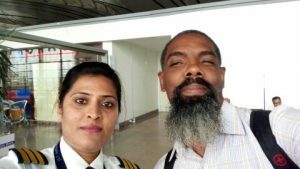 Pooja and Monix flew together to Mumbai from Hyderabad as Monix was returning home to the USA.